I’m Buddy — welcome to my coating lab! Today I have with me a number of hopeful young men and women that think their coating is the best. Well, I have news for most of them - it’s not. At the end of the day, it isn’t what they think about their coating, it’s what I think. Because I’m the boss. oday, we are going going to start out with a hard coating. Nice, simple, vanilla. Should be no trouble at all for the seasoned professionals that I have here before me, right? Let’s see. Next up was Tim’s entry. He tried to look sympathetic towards Mary, but really he was just glad it was happening to someone else. He did smile a little bit towards the end of her humiliation, but that smile quickly disappeared when Buddy headed over in his direction. “So, what have you got for me today?” Buddy asked, looking down at the lens. Tim moved his hands with a flourish to try and make the piece of plastic sitting between them seem more special than it was. Buddy ignored him and looked down at the lens, “Well, the color certainly looks good,” Buddy said as he reached down to pick the lens up, “so now we can see if…” Buddy paused as his fingers closed around the lens. He kept his head pointed towards the table, but his eyes swiveled in their sockets to looks squarely at Tim. “Why is your lens sticky?” Tim instantly went pale, “Sticky? No, it’s just…it’s just not dried yet, if we wait.” Buddy cut him off, “You didn’t cook this, did you? If it isn’t dried, you didn’t cook it. It’s not like this is water.” Buddy released the lens and was trying to wipe his fingers off on the front of his shirt. “Well, you said you wanted it quickly, so I just thought we could speed it up. It’s not like we’re making a cake or something.” Buddy glared at him, “This is exactly like making a cake. If you overbake it, it’s trash. If you underbake it, it’s trash. When you cut corners, you make trash. We don’t cut corners here.” Buddy continued on to the next contestant, while Tim leaned against the table, trying to keep himself steady. Next up was Brent, who was looking rather pleased with himself. Buddy noticed. “Well, Brent, what is it that makes you so happy?” Brent’s little, self-satisfied smile turned into a broad grin, “Well, I know how to use an oven,” he chuckled to himself. Buddy seemed at least a little impressed, picking up the lens, “Is that so?” Buddy asked, holding the lens up to the light to get a better look at it. “It’s one of the basic things that you should know about before you do this,” Brent was pushing it a little bit, as he was starting to get sour looks from Tim and Mary. Those sour looks, however, didn’t last very long. They changed into wry grins as Buddy tossed the lens back onto the table, “So is cleaning the lenses before you coat it.” Brent quickly picked it up as Buddy walked away. Holding it up to the light, Brent could see it there in the center of the lens. A fingerprint - underneath the coating. No way was that ever coming out. 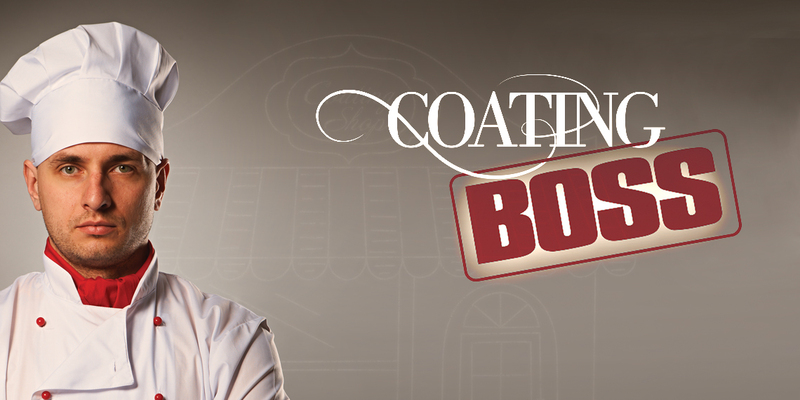 A good coating takes more than a recipe, it needs an experienced professional to get a great result. Sometimes you can’t always tell if what you are getting is what you think you’re getting. 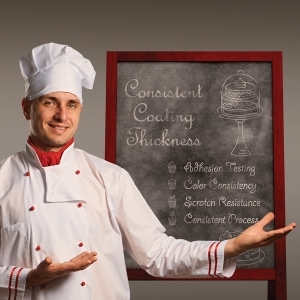 Here’s a list of things you should check with your head baker to make sure they can really make a Boss-level coating.